More like Happy Birth Month Princess Piggy Poo, since I’m not sure which day she was born. But because I was told Princess Piggy Poo was four weeks old when I adopted her in middle October three years ago, it seems middle September would be the time to celebrate. When I tell people it’s Princess Piggy Poo’s birthday, I usually get two questions. The first question is, “What do you get a guinea pig for a birthday present?” Princess Piggy Poo’s birthday present is her all-time favorite thing in the whole world — and it isn’t me by a long shot — it’s a toilet paper roll filled with organic cilantro. The other question is not so fun. 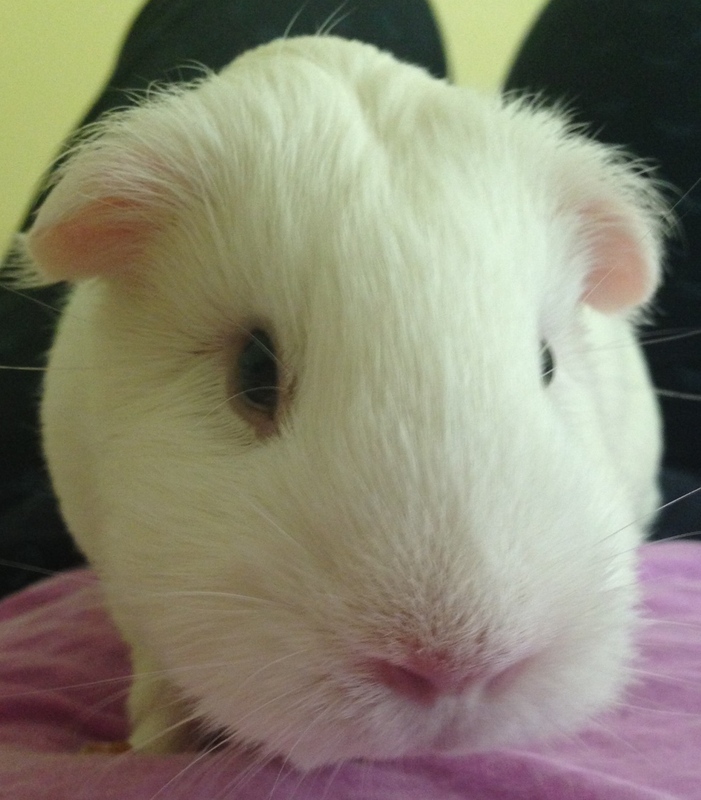 “How long do guinea pigs live?” If Princess Piggy Poo remains healthy, she is likely halfway home. The cavy lifespan that I’ve seen online is four to eight years. My previous guinea pig lived five years and a couple months. His parents passed away a few months before him and his sister about six months after him. So five years seemed to be the magic number for that cavy family. When I adopted Princess Piggy Poo, I kept tabs on the age of her parents. They lasted six and seven years, so I’m hoping Princess Piggy Poo can stretch out more time with me than my previous guinea pig. But who wants to think of the end? For now, it’s time to celebrate. Happy Birthday, Princess Piggy Poo and many, many, many, many, many, many, many more! This entry was posted in Uncategorized and tagged birthday, cavy, celebrate, cilantro, guinea pig, guinea pigs, happy birthday, lifespan, princess piggy poo, toilet paper roll. Bookmark the permalink. Oh, I guess the cilantro in the toilet paper roll is her way to happiness! Happy Birthday and may you mark a new world record for longevity in the piggy world!